ERP Planning Guide: Does Your Business Have the Right Tools to Grow? Does Your Business Have the Right Tools to Grow? Enterprise resource planning (ERP) is a process whereby a company, often a manufacturer, manages and integrates the important parts of its business. An ERP management information system integrates areas such as planning, purchasing, inventory, sales, labor management, and accounting. How Does the Right ERP Bring Value? You want every area of your business to bring value to your customer in some way shape or form. You might be asking yourself “How does human resources, technology support, or the cleaning crew bring value to my customers?” They bring a lot more than you would think. There are primary activities in a company that are the typical front and center players like Sales, Inventory management, Operations, etc. Then there are “Supporting Activities”, which make the “Primary Activities” possible. Investing in an ERP platform will provide you with the vehicle to drive growth in your company. Now it is time to pull out your pen and paper. Ask yourself and your top-level managers these key questions about your business needs. 1. What features are required? 2. Which would be nice? 3. What is your wish list? 4. Who is the right partner? Features are important, but an ERP is only as good as the support you get and the engagement from your staff. Partnering with Eagle Business Software is going to set you up for success not only during the implementation/onboarding phase but more importantly for the 5-10 years of support, training and business process optimization afterward. As your business is seen in the eyes of the government as one entity, it should be treated as that. The various pillars of your business are the bones and an ERP is the joints and nervous system. 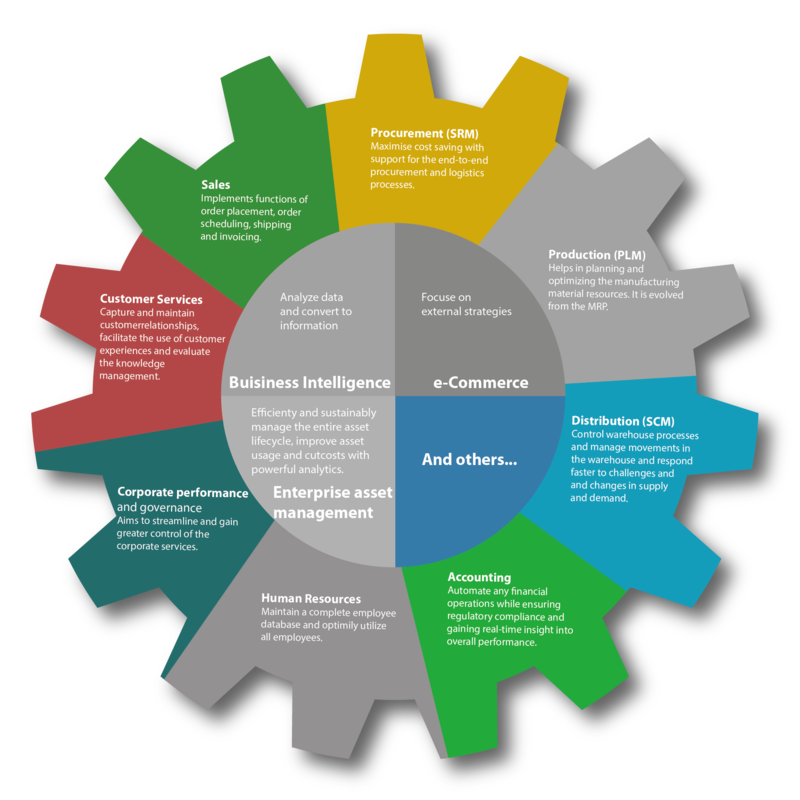 As mentioned earlier, ERP’s provide the integration of the most important areas of your business. No matter what your business model is it will have a sales, inventory, work orders, and accounting division or department. 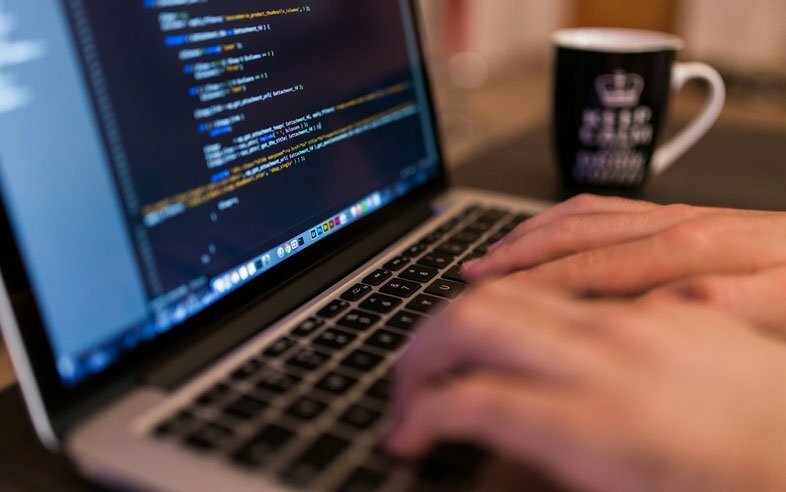 This new interconnectivity begins to allow your business to move more seamlessly. It also provides a mechanism for in-depth transparency through powerful reporting features. What do your sales look like? Value of inventory assets? Managing workorders? Just to name a few. Providing these areas of your business with a robust set of collaborative tools will improve their speed, efficiency, and the quality of their output, thus, growing your business! What if information could pass from one area of your business to another? Organizations go through stages of growth, very similar to the maturation of a children. A start-up must be nurtured, protected, and cared for to make it to the next stage. The growth phase is where the company has enough profits to invest into itself. The maturity phase is where your business is growing steadily year over year, have a strong cash position, a recognized brand, and predictable cash flow. The renewal/decline phase is also a place where, if a business doesn’t work at staying relevant, they risk a decline and potential closure. 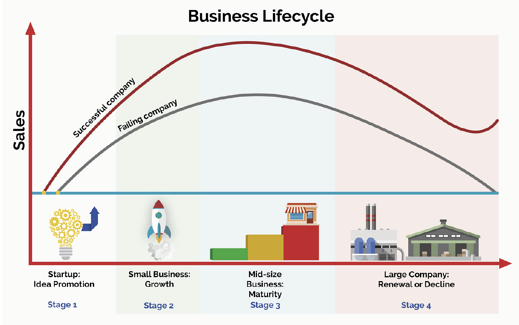 Organizations make their way through a spectrum of business life stages. Most businesses are in the growth phase of their venture. In the growth phase you have a clear business model and begin to solidify your stance in your market. You strengthen relationships with clients and invest time and funds into your employees, so they continue to bring value to client relationships and your business. This phase is when you begin to fund the growth of your business by making investments that set you up for success. Beginning to invest in educating your employee’s so they continue to bring value to your clients as they grow. Investing in strengthening the backbone of your company to operate at a new level of quality, consistency, and efficiency that is scalable symptomatically bring with it the high value benefit of lower overhead costs, reporting on your integrated business areas, and your clients having a better customer experience. 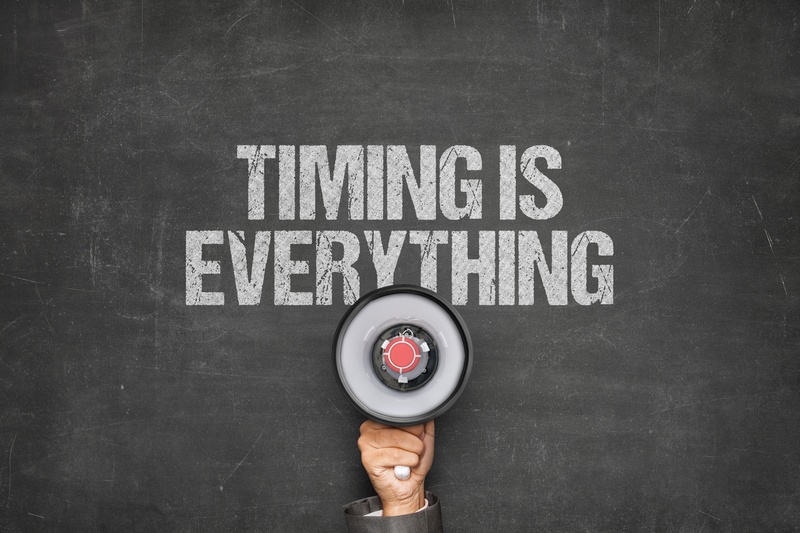 When you are in the growth phase of your business and decide to invest in a tool to improve management and day to day operational functions timing is everything. Every industry as a seasonality to it, and businesses ebb and flow with the busy and slow times of the industry. Implementing a solution that is so foundation to your business during a busy season is a recipe for disaster. It is best to begin planning when you are busy and implement during the slow season. For most industries in the north east the slow season tends to be the winter time, right after the holidays, Q1. 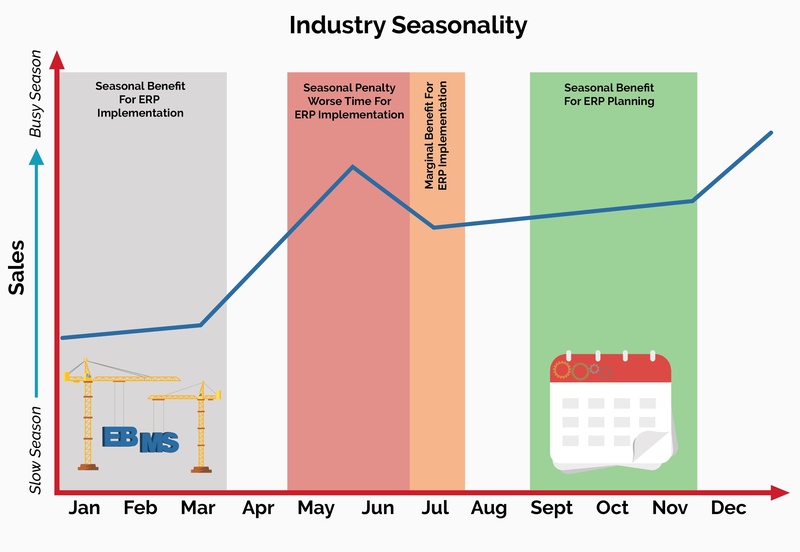 A typical ERP implementation can take 6 months to a year, Eagle Business Software has seen an average of 3 months! This can vary based on the complexity of your business. When in the planning phase take into account the “ramp up time” or training time needed for your users to become acclimated with this new tool. Change management: The action of implementing changes with people in your organization. A very wise friend once said, “If someone could perfect change management they would have business until the end of time”. In other words getting the buy-in from your employees that in order to grow, a change is needed is the hardest part. Informing your team of the importance of this growth phase of your business is key, and that it ultimately translates to a future for your employees. More on this later in the “Team” section under planning. It is understandable to not be sure about what the implementation process looks like for your company… But is it? It should be crystal clear. 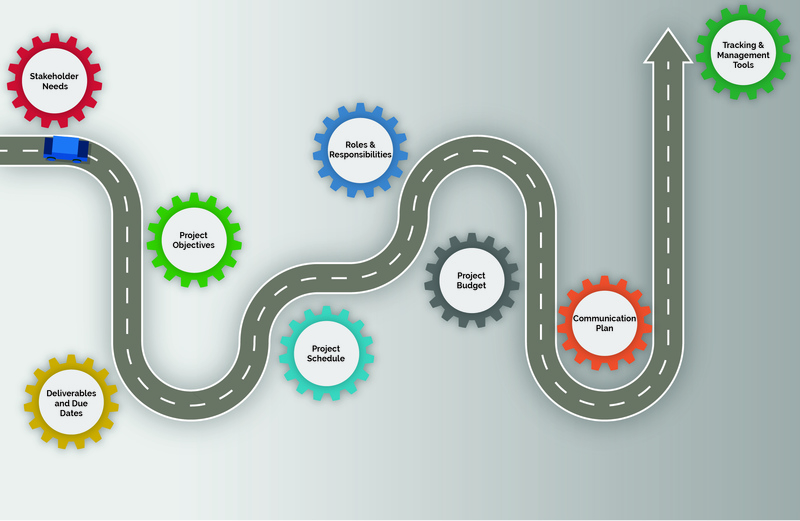 The right ERP partner will give you clear, step by step instructions on what to expect during implementation. The ERP provider that is the right fit for you will also give you an estimated timeline, along with a list of action items for your business to ensure a successful implementation. Project planning is essential to the success of any endeavor. Especially when it comes to a tool that has high value in growing your business. Planning helps you identify the key goals and objectives most relevant to your business, create an action plan and put together a schedule to keep the project on track… And completed before your next busy season! In this case the organization is the person with the most stake in this process. It has the most to gain, and the most to lose. Outline what your organization needs to be successful, and grow into the next phase of your business. Once you understand what your organization needs to grow you should be able to jot down these as goals. Remember, needs translate into goals for improving your business. Needing a new printer is a need, a goal is improved workorder processing. Now that your needs have led you to defined business goals that improve how you do business day to day. We can set dates around the solutions/modules that address your companies’ goals. 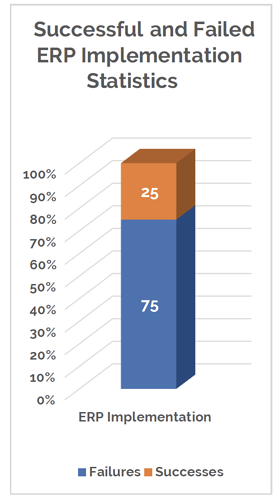 These targets are a way to tell if the implementation is going according to plan. You may have to adjust for unknowns, but it is good to have a target to adjust from. Having a timeline that addresses your needs, goals, and solutions is going to set you up for the proper organizational planning. Your ERP provider will be your resource for budgeting. Doing a needs analysis at the very beginning will give them what they need to outline the project cost. What now? Partnering for the Future. Now that you have planned for your growth, and increased your odds of success, what do you do now? The ERP Partner you choose plays a major role in the odds of your company’s success. Eagle Business Software was started in 1989! All of this expertise, proven processes, and systems we have acquired over 28 years of doing business has enabled us to build tools and a company that is proven. Standing the test of time is a huge indicator to an organizations ability to provide value to their customers. Just to name a few. You want a company that can meet your needs now and grow with you into the future.